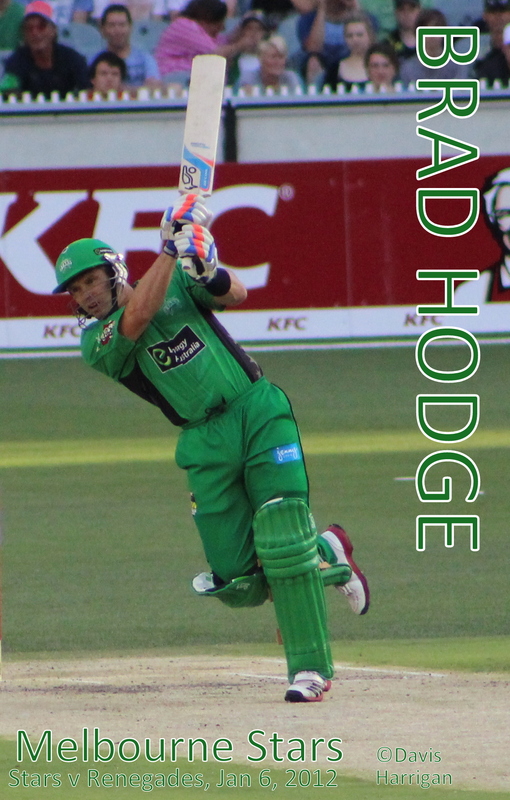 Matthew Wade has copped more proverbial bouncers at the throat recently than you could poke a stick at. All through it he’s pressed on, despite being rested for the first part of the one-day series this summer against Sri Lanka. The bright colours will be gone next week from the Australian state scene, with domestic one-day cricket and first-class competitions kicking off after the furious Big Bash League. Even with the quality of cricket on show for the better part of six weeks, it will be a welcome switch for a lot of the traditional cricket fans out there. State cricket is by no means dwindling, and seriously needs to be the platform from where the next generation of cricketers are selected. In this review I’ll take a look at all eight teams during their ‘home & away’ campaign during their eight matches. There was a whole lot of mayhem throughout. 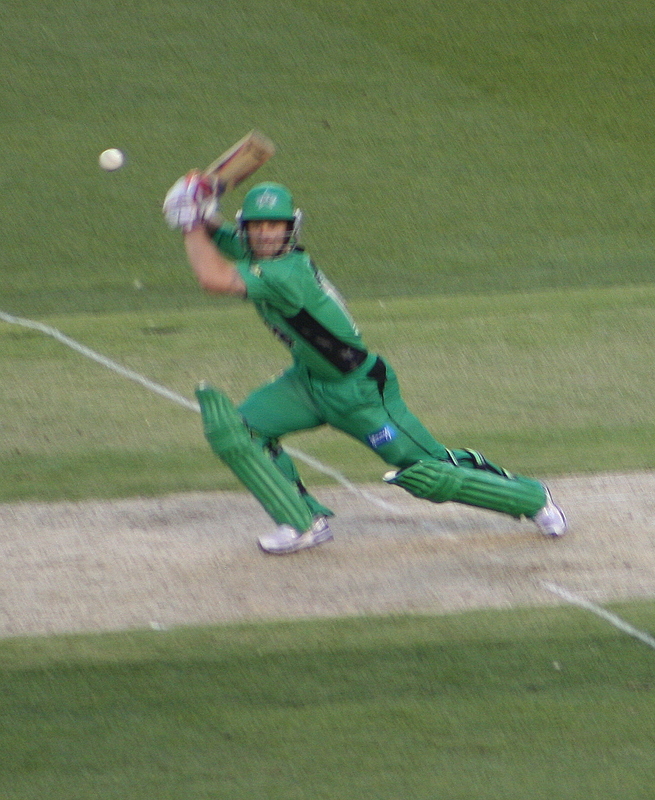 On the upside, TV ratings for the Big Bash were fantastic. The crowds were also very engaged, especially at the two Melbourne Derby clashes. Fox Sports once again has provided us with excellent, if not biased, coverage of every game. The insights that the likes of Damien Fleming and Brendon Julian offer is second to none. 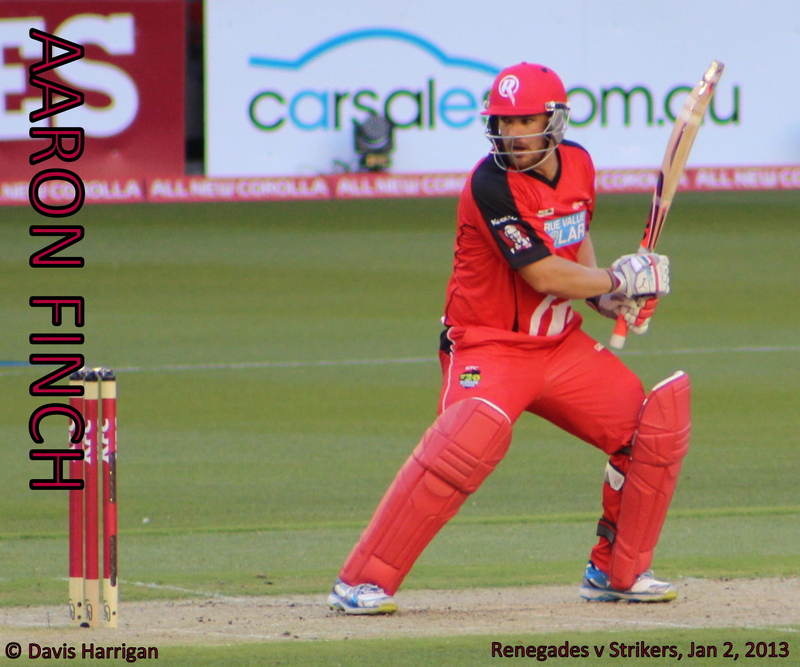 I am simply amazed at the consistency of the Melbourne Renegades. From the out of whack team of last season’s Big Bash League, to the in form and red hot favourites this time around, the Renegades are doing it very smartly. The list of players doesn’t include many big names; Captain Aaron Finch and Sri Lankan spinner Muttiah Muralidaran are the two standouts. Shane Warne has had something of a nightmare week and a bit. 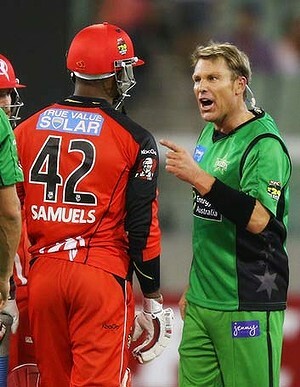 First a charge for speeding in his Jaguar over in the United Kingdom, and last night a massive verbal stoush at West Indian and Melbourne Renegade batsman Marlon Samuels in the Big Bash League. He even let rip a few expletives that were caught by the mic he was wearing for Fox Sports. As another gaping hole opens up in Australia‘s batting stocks after Mike Hussey‘s retirement, it has once again brought the selection argument into the limelight.